A couple of gigs in the last few weeks have reminded me of how important it is to connect with your audience on a meaningful level… or die. I thought I’d address this post to those wishing to better understand public speaking, being a master of ceremonies or comedian. The role of master of ceremonies or comedian is so fraught at times because we are thrust in an environment of someone else’s making. Sound, lighting, staging, furniture are all decided long before we pic up the mic. (Click here to see my 10 point checklist covering the logistics of a corporate stand up gig.) Sometimes these elements feel to me like the hurdles in a 400m hurdles race. The difference is the hurdles are all different sizes and the terrain is unfamiliar. Regardless, we are expected to succeed every time. As I become more and more experienced I am aware of just how much I adapt to each situation with which I am faced as I pursue success through a deep connection with my audience. It’s not easy. It also begs the question, should we adapt? After all, isn’t our trusty set strong enough for every audience? Doesn’t there come a point when we will no longer ‘die’ on stage? 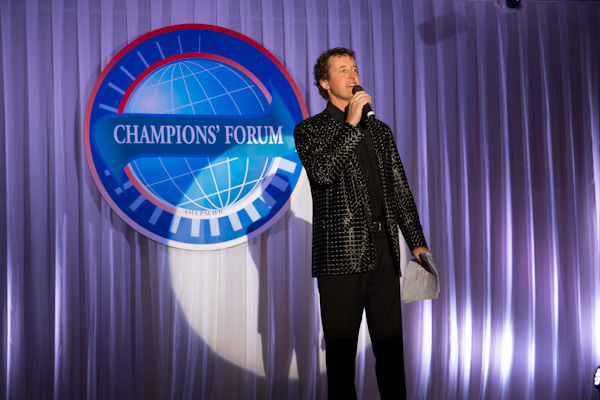 ‘Connecting’ with my audience as master of ceremonies – starting with the jacket! To succeed you need to adapt to the environment. The only exception might be if you have a huge public profile. If so, do your set, the audience already know and trust you. They’ll go with you. If you are relatively unknown, adapt – adapt – adapt! The latter is the thrust of my thoughts today as most of us are not well known celebrities. In the last 3 weeks I have worked to an audience of international finance representatives from 14 different Asian countries, a staff of 400 from a cutting edge energy company, a private birthday party of 100 and tomorrow, I fly to New Zealand to entertain professional conference organisers. Each audience was different and the same attitude and style would not have worked across the different audiences. The common goal as a master of ceremonies or comedian however is to connect at all costs. So how can you connect? What does it mean to connect with your audience? Connecting with an audience is the process of generating 100% concentration on you and creating an escapism for the audience. Have you ever watched a live performance and been lost in the moment? Yes? Well then you ‘connected’ with that performance. There may be distractions everywhere, the atmosphere may be uncomfortable but in that moment you need to quickly answer these 6 important questions. 1. What do these people care about? To connect you need to discover the common goal in the room. If it’s an awards night and the winners aren’t known then acknowledge the excitement and tension in the room. Each person may be focussed on winning an award. Use that to your advantage. The event may be a birthday party. While the focus may be on the birthday girl, these days guests care as much about how they look, who they are forced to sit next to and how close they are to the guest of honour as anything else. Play on that idea to connect with them individually. 2. What are they thinking? What are they thinking when you enter the stage? Were you a surprise? Is there relief that you are there to lighten the mood? Is your presence a complete surprise organised by a third party? Are you wearing clothing designed to generate surprise? Know what the audience is thinking and use this knowledge to your advantage. 3.What do I have in common (or not have in common) with these people? 4. What’s the aim of the event? What are they trying to achieve? Make sure you know the full picture. The aim of the night may be to celebrate 2 years of a successful business project. However, imagine if you didn’t realise that the project was to continue but that half the jobs would be slashed. At some stage you need to reveal something of yourself. Remember women connect more emotionally than men so revealing personal challenges and solutions in an emotional way will help you connect. Audiences love a ‘take away’. They love something to think about on the way home. You may have a thought, a comment or a joke that could stay with them for the next week. Maybe say to them ‘Here’s something you can try at home this week’. You’d be surprised how audiences concentrate after that line! 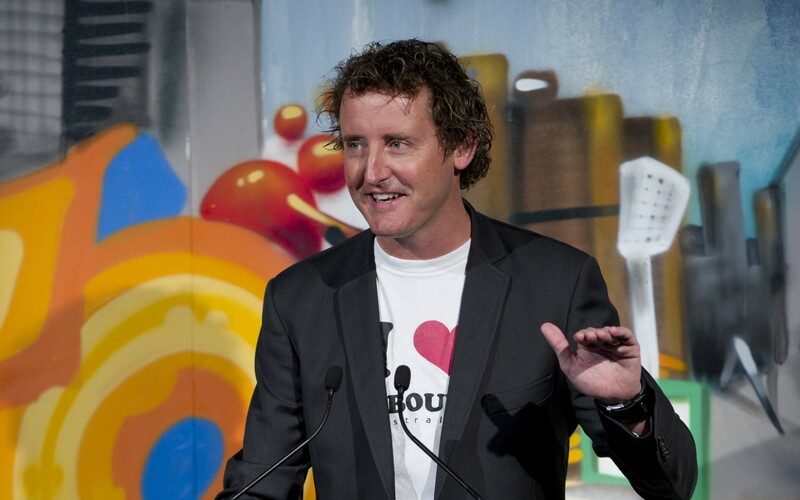 PS: Keep checking back for more tips on being a Master of Ceremonies or Comedian at www.colcameron.com.